Trio Nocturno is going to offer you a joyful afternoon on coming Friday! 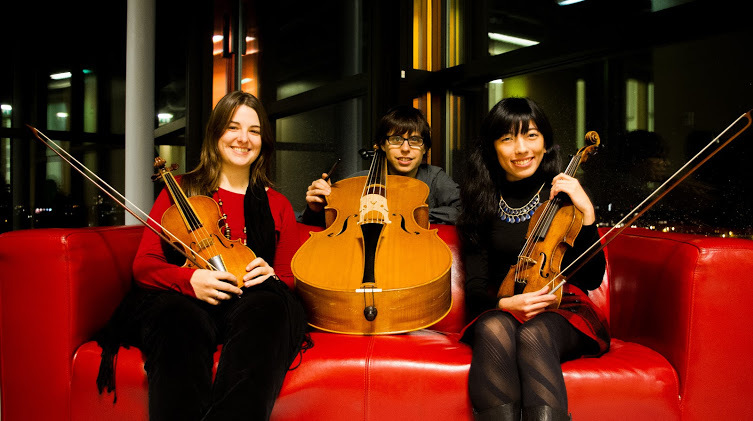 We are preparing Trio from our beloved composer, Luigi Boccherini! 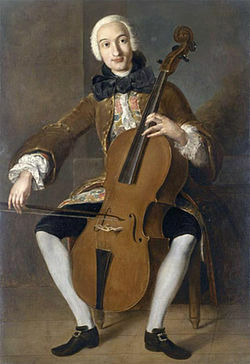 L.Boccherini is eminent cello master, born in Lucca in 1743, Italy and died in Madrid, Spain in 1805. Compared to his quintet with two violoncelli or cello concerti, those trio works for 2vns and vc are hardly performed.. However! He actually published 5 sets of music for this trio setting (op.1,4,6,34 and 54) and all of them has amazing variety of colors and astonishing sonority as same as quintet or orchestral works! 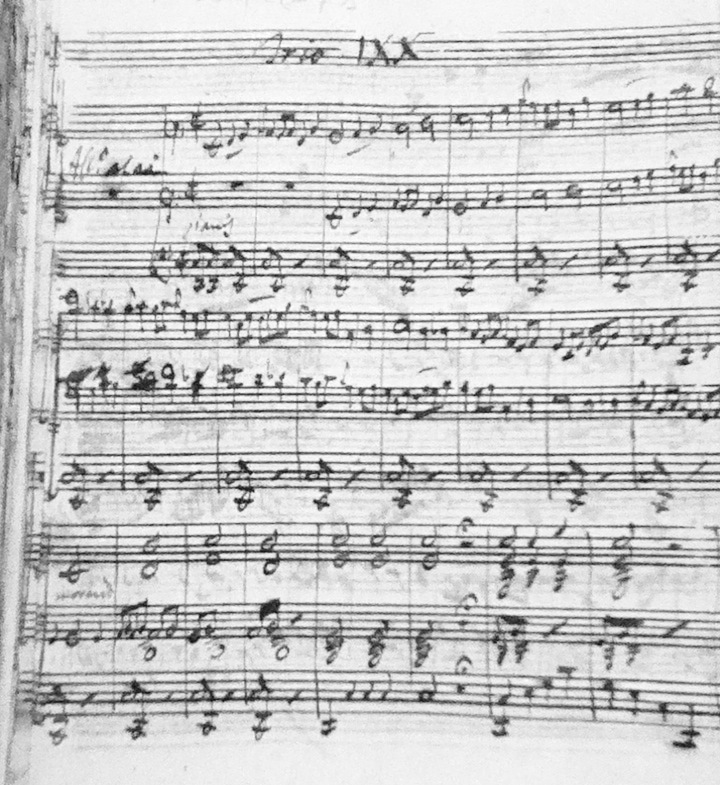 Op.6 was written after he came to Madrid, so you can hear the influence of Spanish sound both in rhythm and harmony. We found the Manuscript by himself and 4 different facsimiles..
Manuscript might be written around 1769, soon after he came to Madrid. So first publication was in Madrid on 1771. Probably the same year from Paris, Venier who already published his symphonies and trio op.4 as well. However, in this Paris edition, we found so many discrepancies from his manuscript. Many decision for slurs and dynamics were moderate in this edition. And top of it, some bars of sequence motions (which is Boccherini’s trademark we could say) were just eliminated! We are not sure if this modification have been done by Boccherini himslef or at least under his control or all by someone else. The other 2 editions, one in Venice and one in London. Those are pirates edition so to say..Venice from Madrid, London from Paris. Hence, this time we use his Madrid edition with reference of the Manuscript and try to come close to his original idea. We are looking forward to see many of you there on Friday!